Natural World Treasures ‹ Ten of the Best 2011 ‹ Flog It! 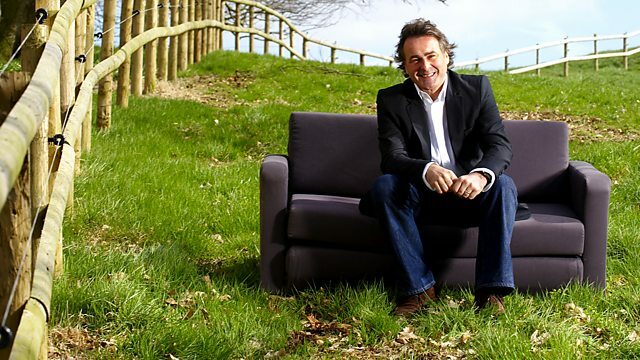 Natural World Treasures Flog It! Paul Martin selects his favourite collection of natural world wonders that have been brought in for valuation, including a calf-skin Charles I coat of arms. Browse content similar to Natural World Treasures. Check below for episodes and series from the same categories and more! Welcome to another series of Ten Of The Best of "Flog It!" and today I'm at Syon House in West London. providing an idyllic retreat from the hustle of the busy capital just ten miles down the road. It's also a haven for flora and fauna. of natural-world treasures from the last ten years. I've seen many natural-world wonders fly through "Flog It! "'s doors. at the Blackburn valuation day in 2009.
because it's great! It's a piece of sculpture. There's a lot of people thinking, "I'm not keen on natural-history objects, it's cruel,"
for a long, long time. So, how did you come by it? 65. OK. Well, what do you think of this? It's like Marmite. You either love it or hate it, yeah. Exactly. I bet I know where this has been, actually. -that doesn't work, you put that in the fireplace. -It's a good space for it. -And I think that's fantastic. -That's what it should be used for. It's a piece of sculpture. for me it's like being in Barbara Hepworth's sculpture garden down in St Ives. and you can see different things when you look from different angles. That's the quality of good sculpture. This has it. This has it, although nobody made this. But I love it. I think it's great. have a go at me. He'll say, "What have you brought to my saleroom?" I think we put it in with a valuation of... What did you pay? -We put it in at 65, with a valuation of £65 to £100. -of my valuation, and little bit more on a good day. But I can't wait to see the auctioneer's face on this one. I just couldn't keep my eyes off that item! But did it sink or swim at the auction? to her Deco shagreen timepiece a minute longer! that I want to sell it, because I found out that this is animal skin. -So it's not my friend any more. Do you know what sort of animal skin it is? -Absolutely. It's known as shagreen. the 1920s, when this was made. How long have you had it? -It's been in your possession a long time. -When did you discover it was sharkskin? but I didn't know what that meant. "Green", yes. And it turned out it was sharkskin, and so I don't want it any more. OK. Well, it's been dead a long time. -And it would probably have been a by-product, as well. -Oh, of people eating them? -Or tortoiseshell, but it's still not a nice thing, I agree. ..and take the movement out... There we are. There we go. Look at the difference there. -Sorry, I should've cleaned it! -We've got a super set of hallmarks. -which means it's assayed in Birmingham. and the D, which is the date letter for 1928.
and it's not a clock. A clock strikes. -Oh, really? I didn't know that. and I think that will do very well. I think it'll do jolly well. -What did you think it was worth? I tell my daughter, "Everything here's worth millions." Well, it would be nice, wouldn't it? It's going to make between 60 and 100. It might make a bit more. OK. OK. Well, I don't want it. when it comes up for sale? of Deanne's calfskin King Charles I coat of arms. for the oldest thing on "Flog It!" today. Well, not unless you were born in 1648. 1648, this is! How did you get it? And one day she said to me, "Would you like this?" -for the last 30 years. -for this... I think it's Coiland. Looking at that, I think it's Colland St Clair. I think that's the seal. It's very fancy. There's a curtain coming around here. Colland St Clair. And it's the granting of a coat of arms to him, that family. King Charles of England." I'm absolutely sure it's authentic. It's definitely on vellum, which is a calfskin. I mean, it isn't printed on, any other shape or form. -did you have an idea of what it might be worth? -It's not doing any good in the trunk, is it? but that's a bit of a guesstimate, I think. -and we'll sell it without reserve. -Does he? No. No. I don't want to upset Paul. Charlie wasn't too concerned about my feelings. That item went to sale without any reserve! of her unusual ivory antique. So it was over to Catherine Southon on it. Mandy, what's this you've brought along to us today? I'm not quite sure, but I thought it might be a dance card. As far as I know, it was my great-grandmother's, but beyond that I don't know. -Something you've had in your family for a while? So you thought it was a dance card? I don't think that's what it is. and open it up, we can see all these leaves. taken out and written little notes on in pencil or whatever. -But no history beyond that? No. It's just been passed down the generations. and on the back, "Napoleon's House". around sort of 1820s, 1830s, about that sort of date. -But it's a really nice piece. -What would they have written with? -But what sort of pen, pencil? It would have been a pencil, that sort of thing. and also that would have really stayed on here, I would've thought. Anything else would've been wiped off quite easily. But little pencils and things like that. What do you think the value's going to be worth? -I really don't know, to be honest. -It's a curious piece, isn't it? and let's hope it really makes the money. -to make sure that we don't sell it for nothing. -Are you happy to let it go at that? -You're not interested in it? Well, it is a lovely thing, but it's just in a box. -You're happy to let it go? just as I had, and let's hope it does well at auction. managed to rocket up a small fortune in a minute. of my first batch of natural-world treasures. but did it delight any of the bidders at auction? but did it rake up a king's ransom? if it made a memorable impression in the saleroom. but did it win any admirers in the saleroom? as I take you to the auction room near Halifax. And he did. Ian's face was a picture when I saw him this morning. He said, "I knew that was you. I knew you picked that." But he didn't give any clues away, so it's fingers crossed. and £65 to £100, something like that. I'm just wondering what this lot will make of it. We're going to find out right now. Good luck. Here we go. The whalebone-vertebra sculpture on stand. I think it looks fab. I'm opening this at £40. And five. 50. And five. 60. And five. -Top end of the estimate. That's good. Pleased with that? I was a bit dubious to start with, but hey, it's gone, it's gone! What a good result for Mandy! Hazel had upped James's reserve! -and you've changed the reserve to 100, I believe? so I've realised it's worth much more. and Hazel feels justified in doing that. Do you feel that £60 to £100 is realistic? I think it should do that. It might do a bit more. £50. Someone offer me £50 for it. No-one at £50? £50 I'm bid. 130. 140. It's against you. I want 50. 160. 170. 180? £170, £170. I'm selling for 170. All done, 170? All done, then, at 170. Your bid. £170! What do you think about that, Hazel? Good. It's OK. That'll feed me for a couple of weeks. So, worth upping the ante after all. Let's hope that result gave Hazel plenty of hot dinners! rustled up a good result. and it belongs to Deanne here, and hopefully for not much longer. Well, it's going to sell. There's no reserve on this. -Guess who put that in! dated the 4th of July 1648. Some interest here with me. which start me at 160. £200, I'm bid. And £200 I'm bid, with me. At 200. May I say 220 anywhere else? Selling it, then. All happy? -That was short and sweet, wasn't it? -I didn't think it would sell! with her vellum, doubling the top end of Charlie's estimate. -We might get a little bit more. -It was quite cheap, the estimate. -Quite cheap? So what should it do? -I shouldn't say that beforehand. -No, you're letting Mandy down now! We've put a good estimate on. It should do quite well, I hope. Optimistic. It should do it, top end plus. and I start the bidding at £40. 40 I've got. 45, 50. 95. I'm now out at 95. Bid's in the room. 100. And ten. 120. 130. -This is the sleeper we've all been waiting for. Mandy, the hammer's gone down. Oh, you're crying! -Catherine was keeping us in suspense there. That's naughty! You knew it was going to do something like that. I'm thrilled for you, but I'm embarrassed for me. -We need to buy you tissues now. -What a lovely "Flog It!" moment! What a moment to treasure! which I think is absolutely incredible. such displays have fallen out of favour. were born of an era before TV and tourism. when I visited one of Britain's leading natural-history museums. large enough to start his first museum in a garden shed. -for them all to be housed. ever assembled by one man. and even a group of domestic dogs. whose passion with animals also started when she was young. Katrina, so pleased to meet you. When and where did it all start? of every school holidays. Always obsessed with animals. -and pinned insects and things. -I stuffed my first bat when I was seven. -Did you really? What, at home? Most young girls get into ponies. You got into bats and taxidermy! possibly slightly eccentric, don't you think? -of money with the madness. -He's got a lot in common with you! -If only you could've met! -We'd have got on like a house on fire. Walter was a complete eccentric. 64 cassowaries and a giant tortoise. both locally and on the occasional trip to the capital. and made an enormous contribution to the understanding of science at that time. so can I have a sneak behind the scenes, please? -I think we can arrange that. from London to Tring in the 1970s. 95 percent of the world's species. How do the birds vary from the mounts, then? What's the difference in stuffing them? just lying flat. They've got cotton wool for their eyes. for scientists to look at, measure and compare one with another. Can I have a look at those? Is that a parakeet? It certainly is. That's not just any old parakeet. -What's different about this one? who produced a mammoth book, Birds Of America. And you do this as well here, don't you? -It's part of your job. We're adding to the collection all the time. Nowadays we're not going out and shooting. How do you go about preserving this bird? to go back into the skin again. It's not as gory as people think. there's something quite special you're going to show me. -To you they are, aren't they? -I think you're probably referring to these little chaps. No. Actually, none of these bear Darwin's original labels. don't have his own labels on any more. -3374, in Darwin's own fair hand. Absolutely incredible. It is such a fascinating place, Katrina. -and especially behind the scenes as well. When I saw this in the queue, words absolutely failed me. It is one of the most awful objects I have ever seen. -because we talked about it. I thought, "I can't put something so awful on TV." And then I thought, "Well, in a way, we should,"
the fact is people, people are still buying them out there. you see them as tables, just about anything. And they are still being sold at auction today. was what you're going to do with the money. -You want to give it to Born Free. If some good can come as a result of it, that's great. Fantastic. So we have to somehow come to a value. My goodness, what do you think it might make? so I don't know, because of what you've said. People don't want it. I was thinking £20, £30. -I think it'll make 100. -It might make a shade more. -this also - same family, of course. -And this was your grandparents'? Now, this, of course, is the same sort of date. We're talking around turn of the century. -I think that'll do well as well. Split them up, two separate lots. 100 to 150, 200 to 300.
with the proceeds of her sale in just a minute. that I must showcase you once again. made a big impression on James Braxton. well, it's just a joy to behold. They flew out of the sale room, reaching £290. which Richard wanted to flog in Chippenham back in 2005. And Catherine Southon loved it. It's absolutely wonderful, a fantastic spiral piece of ivory. -I think you're clutching something quite valuable in there. Let's have a look inside your purse. Wonderful amber necklace! Have you worn it much? so I used to wear it then, and it used to look pretty good. -I think you'd look pretty good in this still. and it's millions of years old, it really is. It's fossilised tree sap, basically. -There might be something in there. look for pine needles or bits of moss that get trapped in this. the beaches of Poland. But it does get washed up in this country. -Yes, it does, on Southwold Beach. and I actually interviewed a chap on "Flog It!" -..a funny little odd-shaped pebble. and cut it into these facets like this. Yeah. But let's see what it looks like. Shall we put it on? Look at that. And it still looks fabulous, doesn't it? Oh, you'll get your £200 back. I just think it's stunning! I really think every woman would like to own that. That's the way. Big one at the bottom. You need two women that try that on and look as great as you do in it. That necklace certainly wowed the crowds in the valuation room. of John's enormous leather-bound first edition botany books. "Oh, no! You've only got one!" But you had all three. But you had to go all the way home to get them. so let's open it up and have a look. This edition... We've got Roman numerals here. the first-ever edition, all three volumes. how do you come to have these? They've been passed down through the family. He's in fact my great-great-great-great grandfather. Oh! I mean, what a provenance! Look at these! and didn't even use lenses to look at the plants he was sketching. he tells you about the quality of the work. And he was the best! There was nobody better than him. at the time the books were made. So these aren't later coloured. These were done at the time. Look at that! That thistle is just marvellous. OK, it's a very good book. They were produced literally every couple of weeks. So look at those again. Lots of coloured plates. Yeah. They're lovely. They are things we see a lot of. They don't make a lot of money, but they're fun. So we've got three of those. Now, tell me about these. Now, this is Samuel Curtis. He's the son-in-law. -which is Lectures In Botany. And it's put together based on the work of his father-in-law. Fine. So we need to come up with some ideas of value for you. If we look at the condition of them, they really do need attention. -And it's going to cost a lot of money to put them right. £150 to £250 for the three. It's hard. They have made as much as £6,000 in mint condition. I reckon we should put an estimate of £2,500 to £3,500 on them. so that's important. Need to put a reserve on. All right. Now, obviously you've discussed it with your family. They've got to go somewhere. They can't stay in my loft forever. -And they deserve to be appreciated for what they are. They are such an important set. and I'm sure they'll go to a great home. and we'll be back to see if it made big bucks in a bit. before I show you just how well they did when they went off to auction. but what a statement they'd make in someone else's library! with her elephant's foot and crocodile-skin dressing case. when I met up with auctioneer Nick Sainty. It's had to be withdrawn from the sale. We cannot sell it, and here's Nick to tell us why. which, in essence, is the 1977 Convention In Trade Of Endangered Species. -and we just can't prove it. -and that's a big fine, isn't it? -That's a five-figure fine, yes. What did the owner say when you said they've got to take it home? She didn't have any great love for it, I have to say! It was going to go in the garage, probably! That's a sad thing, to be honest. let's see if anyone snapped up Hilary's elegant vanity case. £200 to £300. Good luck, everybody. This is it. £380. 400, will you? It's on the book at 380. -Come on! More, more, more. on the book. You're out in the room, and the phones are out. I'm selling, then, at £380. Hammer's gone down. That's a "sold" sound. -You could say that was snappy. -I'm ever so happy with that. That is a great result. The phones were booked. because the price was... Fantastic result. At £380, that dressing case carried off a great result. We've got £200 to £400 on this. I don't know what the feeling is in the room. I haven't talked to anybody. I haven't seen it viewed at all. -So fingers crossed, that's all I can say. We're going to find out. I don't think we can talk about it any more. -It's down to this lot. and I'm bid at £200 for them. And five. 210. 15. 220. Five. At 225 here. 230. At £330 on the telephone, against you in the room. That's a "sold" sound. £330! -Not bad. I'm quite happy with that. This is a very exciting and a very sad moment, John. -You must have butterflies now. But first it's time to flog John's three botanical magazines. put on by James Lewis, our expert. We've got quite a bit of interest in it. Who's going to start me for this lot? Three volumes here. Probably a couple of hundred, I should think. 100? 100 I'm bid. 120. At £140. You want 160? On that phone at 160. 180? You're letting go. This is your family heritage. -It's sad, and exciting, I bet. 600 now on the floor. 650 on the other phone? He says no. 650 on that phone. At 650. They will be sold, make no mistake. And advance on 650? It's with that phone at 650. -That's a great result. £650! -One more lot to go. That's right. They're three big volumes. and I'm pleased you've raised the reserve. I don't know if you know this, James. Originally you said £2,500 to £3,500. -We had a reserve at two and a half. -We've raised it to 3,500. -I think you've done exactly the right thing. We've got the three volumes, the three volumes of it. I'm sure you've all had a good look if you're interested. Three-four. Is it three-six? Three-six. -Three-six I've got over there. Yes, sir. Three-eight. Four, sir? Now we're climbing. This is more like it. Six-two. Six-four? Six thousand four. Six-eight? Yes, sir, six-eight. 7,000. No? 7,400. Below the stairs here at seven-four. Seven-six anywhere else? At 7,400, you're out. Hammer's gone down. £7,400. Worth every single penny. -Unfortunately it's not all mine. and I've got five brothers - well, four brothers and a sister. -but I can see a good holiday. and those books had it in spades. from a magnificent Syon House. Paul Martin selects his favourite collection of natural world wonders that owners have brought in to be valued and sold at auction. There is a calf-skin Charles I coat of arms, and a rare first edition collection of William Curtis botany books. Also, Paul takes an eye-opening trip to the Cotton Powell Natural History Museum in Kent.